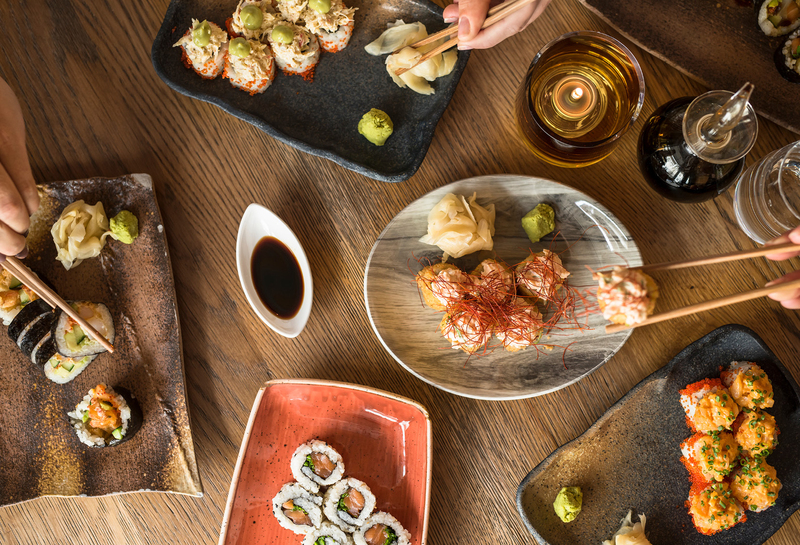 Japanese small dishes that are made to be shared, giving you the opportunity to taste a variety of exciting flavours. The meat is grilled quickly over an open grill at a high temperature. This cooking method is in keeping with the traditional robatayaki style and efficiently enhances the natural flavors of the ingredients. We encourage our guests to try our tasting menu. The menu is composed of the finest ingredients, both from land and sea, prepared in the ideal way to retain their individual qualities and flavours. Only the best is good enough for the sharing menu. Our chefs will ensure that you are comfortable leaving the choice to us. Please let us know if there are foods you particularly like, anything you do not enjoy or if you have any allergies. To elevate your experience at Hinoki, our chefs and waiters work closely together to match your food with our fine selection of wines. Please ask your waiter for any advice. The sharing menus vary in price depending on the exclusivity of the ingredients.